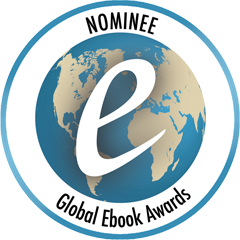 Nice to receive the notification that A Dime is a Sign has been accepted as a Global eBook Nominee for the 2019 Awards! This book of poetry is also about trying to put feelings into words, and is a companion volume to the award-winning A Penny for Your Thoughts. Both ebooks are available on amazon.com at $4.99 each. This entry was posted in Awards, Consideration for Others, eBook, Emotions, Feelings, Friendship, Kalpart Illustrations, Love Poems, poetry, Romance, SBPRA, sherrill s. Cannon, Teens and YA, Uncategorized, Valentine's Day on October 31, 2018 by Sherrill S. Cannon. And Atheist is in there too. And sometimes nice and sometimes mean. Our land of love and liberty! This entry was posted in Behavior, Feelings, poetry, sherrill s. Cannon, Uncategorized on October 27, 2018 by Sherrill S. Cannon. Award placement to be announced in their Holiday Edition! This entry was posted in Award-Winning, Awards, Consideration for Others, Emotions, Feelings, Friendship, Kalpart Illustrations, Kindness, Love Poems, poetry, Romance, SBPRA, sherrill s. Cannon, Teens and YA, Uncategorized, Valentine's Day on October 24, 2018 by Sherrill S. Cannon. Thanks so much to Jannifer Powelson, co-founder of Progressive Rising Phoenix Press, for this lovely review of A Dime is a Sign. This entry was posted in Consideration for Others, eBook, Emotions, Feelings, Friendship, Kalpart Illustrations, Love Poems, poetry, Review, Reviews, SBPRA, sherrill s. Cannon, Teens and YA, Uncategorized, Valentine's Day on October 23, 2018 by Sherrill S. Cannon. First Review on Amazon for A Dime is a Sign – 5 Stars! have for anyone who loves love and the magic of a well crafted book. This entry was posted in Consideration for Others, eBook, Emotions, Feelings, Friendship, Kalpart Illustrations, Kindness, Love Poems, poetry, Review, Reviews, Romance, SBPRA, sherrill s. Cannon, Teens and YA, Uncategorized, Valentine's Day on October 19, 2018 by Sherrill S. Cannon. I’ve been requested to share some of my poetry on my blog. I tend to often use season imagery to describe feelings: so spring, summer, fall and winter symbolize beginning, blooming, failing, and dying. The rest are falling down. Or if they even know . . .
For every one that dies. This entry was posted in Award-Winning, Emotions, Feelings, Friendship, Kalpart Illustrations, Kindness, Love Poems, poetry, sherrill s. Cannon, Teens and YA, Uncategorized on October 17, 2018 by Sherrill S. Cannon.